Best price new Mazda 6 – maximum discount with highest level service. We’re saving new Mazda 6 buyers $1000’s every week securing Australia’s best Mazda 6 deals. Choose any new Mazda 6 model and the options you want. Be it the new Mazda 6 Sport, Touring, GT or Atenza – sedan or wagon. You’ll get the best price without having to go head-to-head with dealers. 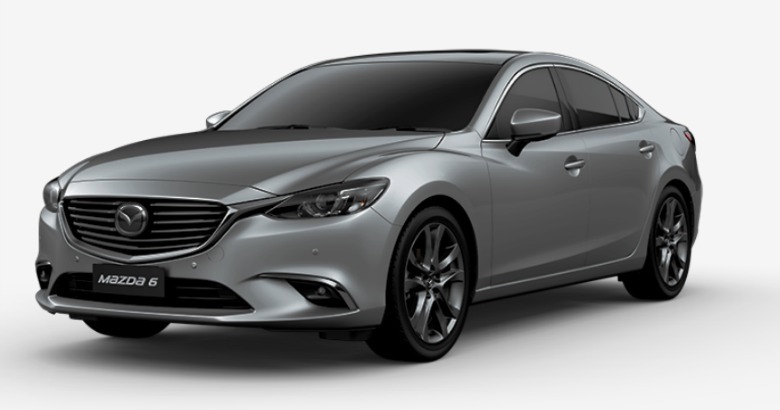 Yes – we’ll make sure you get the highest possible price for any car or cars you may be trading in as part of buying your new Mazda 6 – or any new car. Road testing the Mazda 6 Atenza – reporting on specs, fuel consumption and more. Mazda prides itself on developing and making cars that are not just functional but are a joy to drive. The Mazda 6 Wagon is a classic example of Mazda combining high-level functionality and driving pleasure as you’ll see in this video review.